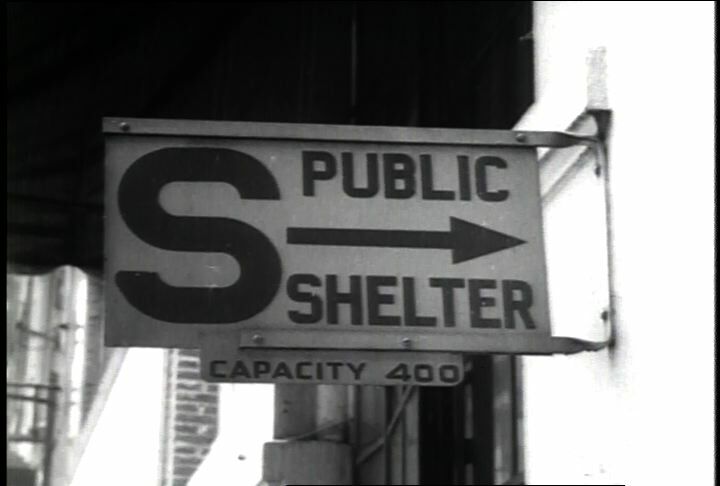 100 cities across the country are hit by simulated atomic air raids in the 4th annual nationwide civil defense drill. In Washington, President Eisenhower is evacuated from the White House by helicopter, and in key "target" cities, streets are deserted as hundreds of millions take shelter. Chicago: “War and Peace in the Nuclear Age; Bigger Bang for the Buck, A; Operation Alert,” 07/15/1957, WGBH Media Library & Archives, accessed April 25, 2019, http://openvault.wgbh.org/catalog/V_69EF209B6D3349C0AE97DC1DE15E4AC9. MLA: “War and Peace in the Nuclear Age; Bigger Bang for the Buck, A; Operation Alert.” 07/15/1957. WGBH Media Library & Archives. Web. April 25, 2019. <http://openvault.wgbh.org/catalog/V_69EF209B6D3349C0AE97DC1DE15E4AC9>.